It seems that this year we are going to have an extended summer. With temperatures hitting as high as 30 centigrade almost every day, it would not be a bad idea to plan a picnic. Who doesn’t love kicking back to eat delicious food in the sunshine with good company? This is what we did on several occasions last year together with my mom, sister and my nephew. 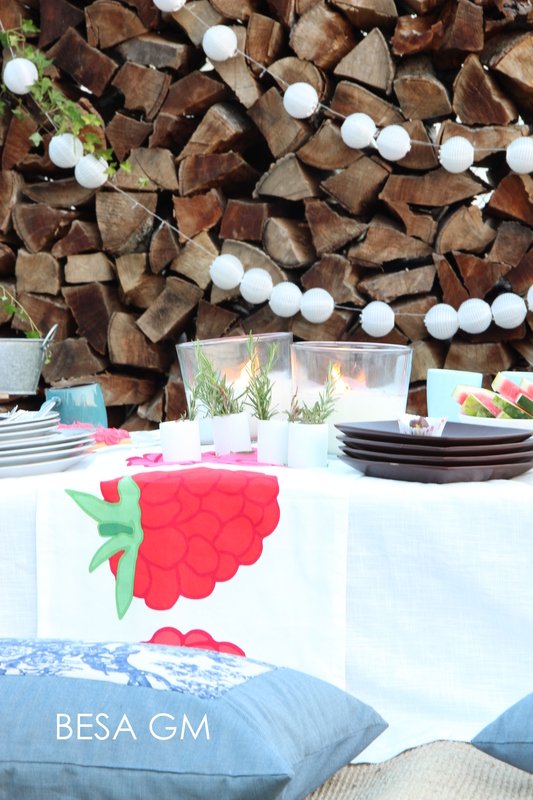 Since we really enjoy picnicking, I’d like to contribute some tips and tricks to help you host a perfect picnic . Do you want to hike to a picturesque spot, connecting with nature ? If so, get your walking boots on and pack light, taking only the essentials in a rucksack; food, drink and a blanket to sit on! Do you want to dine in a place with wooden picnic benches to avoid sitting on the ground? If so, you can take more with you as, most probably, there’ll be parking close by. 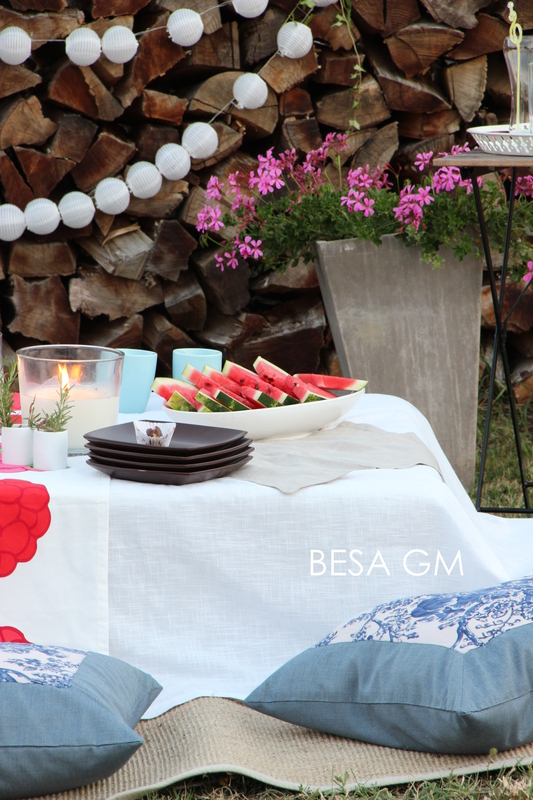 As far as location is concerned, you could even have a picnic in your own garden or backyard if you don’t have much time to spare. Prepare your picnic as you would if you were visiting a park! This is what we did in one of the occasions. 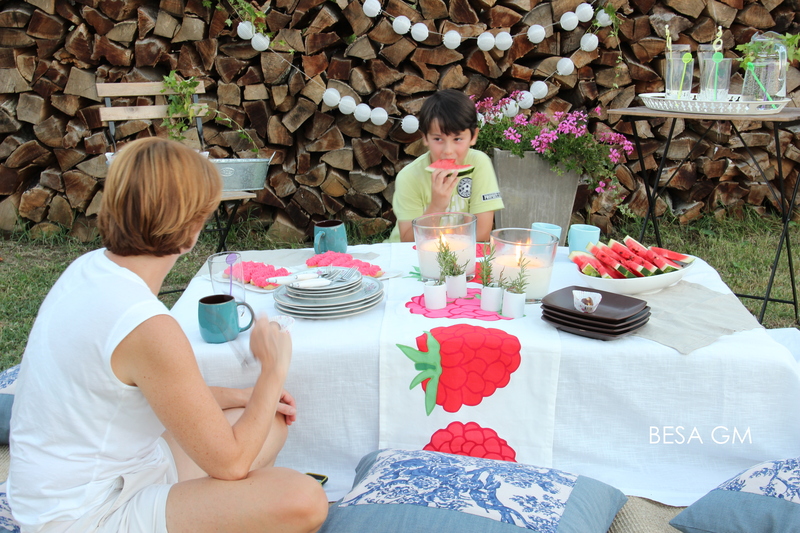 We picnicked in one of the corners of my backyard, and we had so much fun! 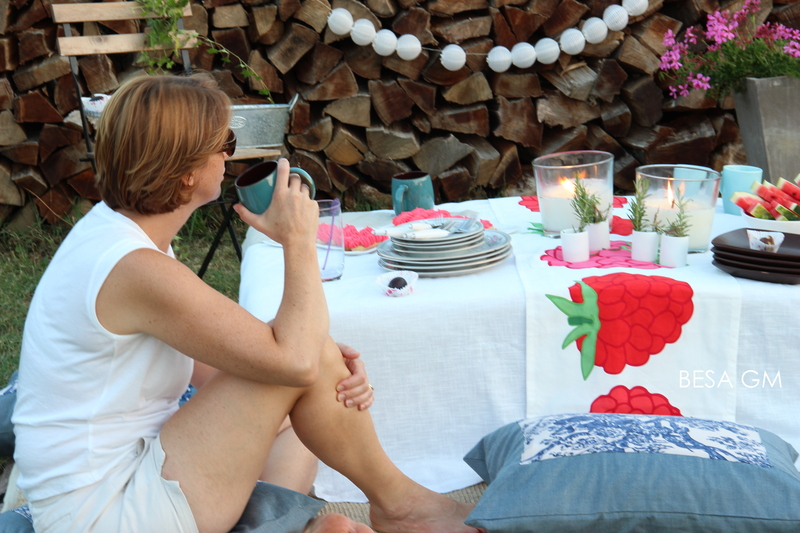 A picnic is the ultimate chill out so it’s important that comfort is one of your main considerations. A picnic isn’t a picnic without a blanket, and it is advisable if it is waterproof. You can buy a cheap shower curtain at a dollar store and place it underneath the blanket to instantly waterproof it. Scatter the blanket with cushions from your sofa for an instant boho chic vibe. For our picnic I used my oversized decorative sofa cushions and instead of a blanket I used my patio carpet which is for an outdoor use. 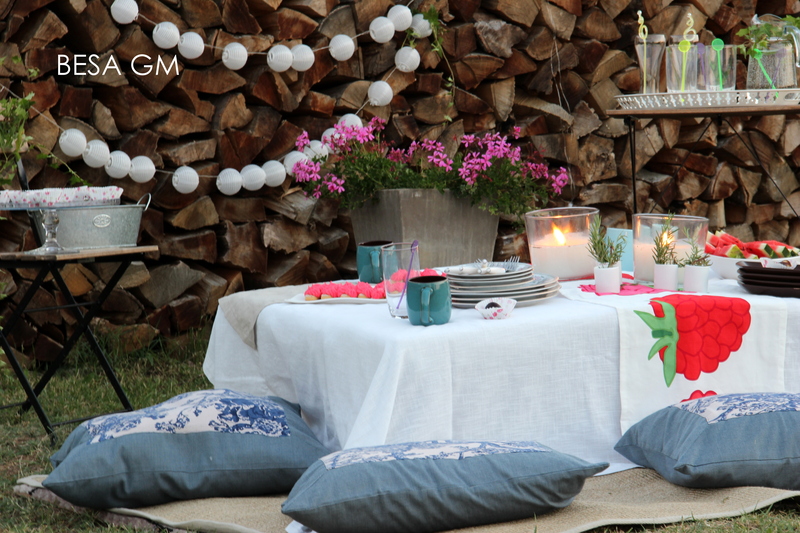 The use of these cushions gave this picnic that boho chic vibe. Food is a must for every picnic, so bring cold dishes that do not require reheating, sweets and do not forget fruits. No picnic is complete without drinks. Opt for refreshing homemade drinks like lemonade or nonalcoholic cocktails containing mint and other refreshing herbs. 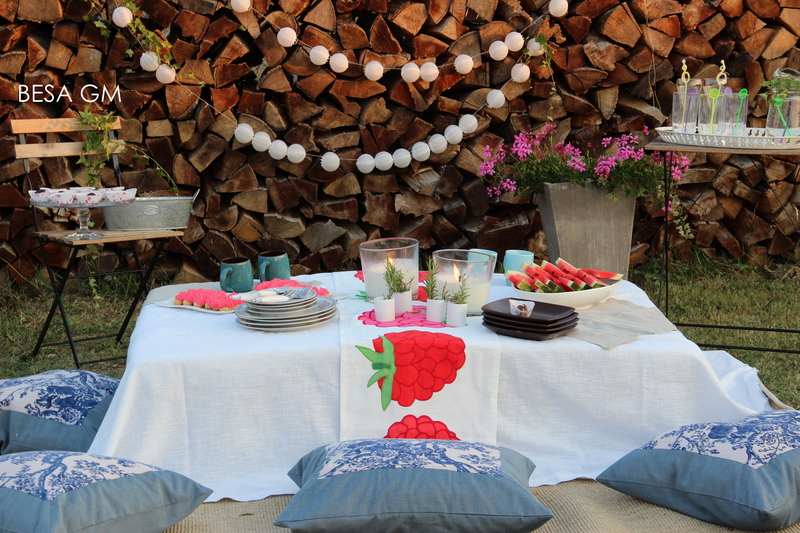 To enhance the enjoyment of your picnic experience, you may want to do a bit of styling of the picnic venue. 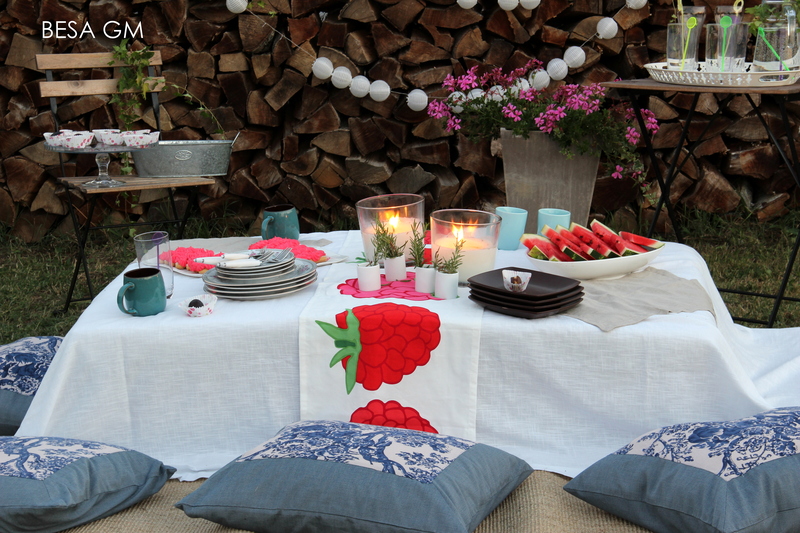 Inject lots of color into your picnic with plenty of hot pink, navy and other colors of your choice. 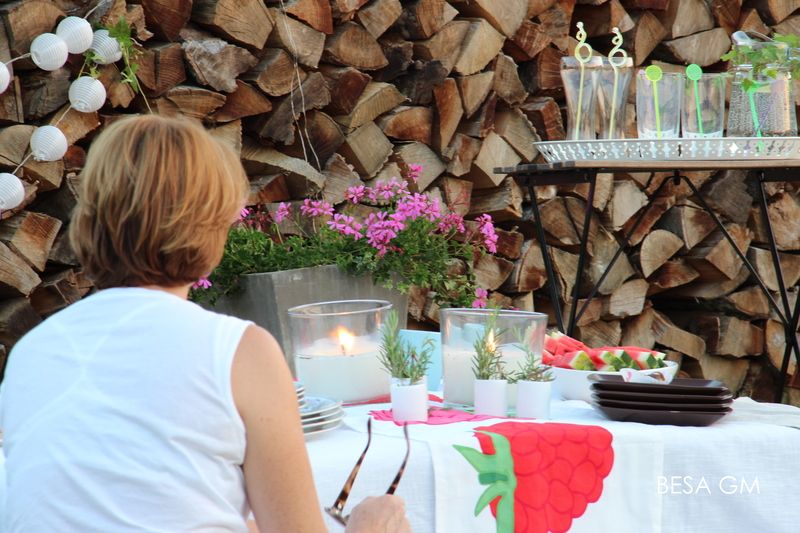 Keep the bugs away with giant citronella candles and set out your summer snacks on mix and match china plates. Fill a vase with your favourite flowers and serve up a batch of your favourite drink in a cool carafe. Put a string of solar lights, just in case you will stay longer until it gets dark. The fall is already here and there are only e few warm, sunny days left to enjoy this year; so, grab your picnic basket, a blanket, pack up your favourite snacks and fruit, some decorative accessories, find a nice, shady spot for your picnic and enjoy it. It is so much fun, as these photos can tell!